Alati’s Inspection Service is not just another Home Inspection company. A top notch inspector, taking pride in obtaining multiple certifications to assist you with your personal and property needs. Nick identifies areas of concern or needs for maintenance before these conditions create costly repairs or replacements. 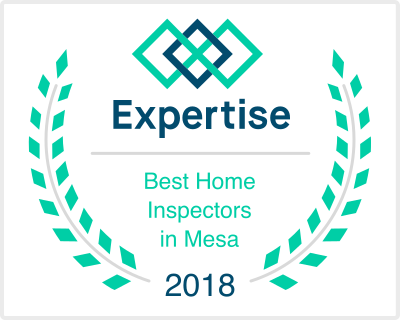 More importantly, the inspections focus on safety issues and will identify low-cost additions or upgrades that will make your home safe and more secure for you and your family. The inspection will also educate you on the operation of your home, its primary systems and current methods or alternatives to costly maintenance. Nick helps homeowners and buyers understand the condition of the air you are breathing in your home or office. Nick will identify if there are conditions conducive for mold growth in your home or office. Nick can and will recommend air testing if he finds that the home has experienced a leaking basement, a roof leak, a plumbing leak, a sink or sewer back-up or overflow, a flood or any other water problems. Don’t buy a home without a mold inspection! Nick can divert from the normal Home Inspector role to an advisors role. Where Arizona State and ASHI Standards restrict a Home Inspector for mentioning repair pricing, a PCA is required to mention forecasted pricing, as well as the Property Condition Report (PCR). Nick is sure to mention the name and contact information of who is quoting the price. The PCA & PCR could be modified to cover the concerns of the client, i.e. only major systems, excluding the kitchen or only the kitchen. This is a great way for an out of town buyer to purchase a Bank-Owned Property that needs work without having to come to town and spend a week obtaining bids from contractors just to see if the home is worth the investment. Nick inspects the home for the minimum requirements set forth by HUD/FHA. If you’re purchasing a new or existing home, Nick looks for the HUD/FHA requirements and the ability to fill out the required form (HUD-92051) to submit to your lender. The benefits and peace of mind you gain from these inspections will far exceed the actual cost of the inspection itself. Nick J. Alati was raised in a family owned construction business. Nicks Dad “Nunzio J Alati” owned Alati’s Construction Company in Rochester N.Y. Some of his first memories as a child are riding with his dad on a C-8 Bulldozer grading the Subdivision, watching the framing go up, helping with the trim work and assisting the subcontractors to finish their tasks. Nick’s family moved to Lake Havasu City, Arizona in 1972 and then to the Valley. Nick has over 27 years of experience in Arizona Construction where he learned what a “Dry-Heat” really is and how our 180 degree attic plays a major role on you and your home! Learning construction techniques and more so customer concerns, Nick saw the need for an open-minded, non-evasive Home Inspector. Nick is intimately familiar with the remodeling, maintenance and repair methods used throughout the Phoenix area. The types of cooling systems, roofing systems, exteriors and extensive periods of heat we experience in Arizona are not common throughout the rest of the U.S and the impact they could have on your energy bill and life style! © 2014-2018, Nick J. Alati.